In another county the charming, albeit tiny, city of Ely, with its Georgian terraces and medieval centre, complete with impressive cathedral, might easily become the main tourist hub. Or else the region's largest city, Peterborough, with its almost intact Norman cathedral, might qualify. But in Cambridgeshire it's Cambridge which takes the crown, with its twin lives of town and gown, all happening within splendid honey-coloured architecture. 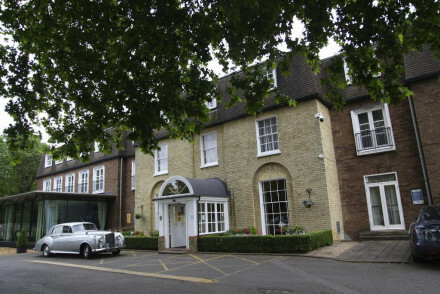 Indeed, many of the best places to stay in Cambridgeshire can also be found here. If you do decide to stay in Cambridge, then there are plenty of activities that you ned to add to your list. Cambridge definitely deserves to be a hub for visitors, but don't forget to look outwards across the spectacularly flat fens and see more of this charming and historic countryside. Spend the morning strolling the 'Backs', the college gardens, to overhear the work of future poet laureates, before having a drink in a student pub and play 'spot the future prime minister'. Afterwards, laze away an afternoon in the bottom of a punt before a visit to the Fitzwilliam Museum - one of Britain's first public art museums. Lastly, you can't ignore the magnificent buildings - take a peek the inside of Kings College Chapel, the Round Church built by the Knights Templar and see as much of Trinity, Peterhouse and Christ Church colleges as you can. Cambridge is a dreamy city, full of gorgeous architecture and with a serene setting on the River Cam. You'll be sure to leave here in love with the place! Ely is a quaint cathedral city, much like Cambridge, where you'll find plenty of half-timbered buildings set alongside the Great River Ouse. A lovely spot. Peterborough is of much the same ilk - a cathedral city set on the banks of the River Nene. It's significantly larger than Ely, though still a very charming place to stay. Even if you're not staying in Cambridge itself, the rest of the county still offers plenty of wonderful tourist attractions. Ely has a quirky little museum housed in the old gaol, and the Waterside Antiques Centre, which is the largest antiques market in East Anglia. Plus Oliver Cromwell's House Museum - yes, this is where the warty dictator lived when he was the local tithe collector. In addition to its famous cathedral, Peterborough also has an impressive Museum and Art Gallery complex, and it's the closest centre to Burghley House, with its beautiful park and gardens laid down by Lancelot 'Capability' Brown. Longthorpe Tower and Milton Hall, both famous buildings, are also nearby. To go back further into Cambridgeshire's history, visit an exposed section of old Roman road, known as the Fen Causeway, or Flag Fen, the Bronze Age archaeological site. Cambridgeshire is home to Duxford, where you'll find the Imperial War Museum's collection of aircraft, and more - this is also where they have the famous air shows! And Cambridgeshire is where you'll find T.S. Eliot's Little Gidding. 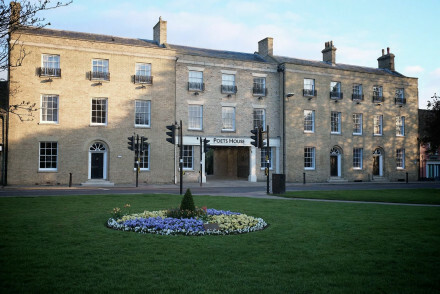 The Hotel Guru's selection of the best places to stay in Cambridgeshire are ideally located to make the most of this charming county, whether you simply want a short city break or plan to explore the whole area in more depth. 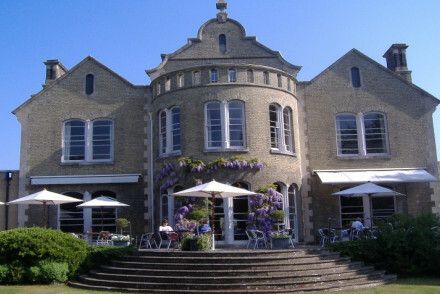 Hotel Felix was once a Victorian villa and is now a charming hotel with an attractive garden and gourmet restaurant on the outskirts of Cambridge. The Varsity Hotel & Spa is very central and very new, with a design-y edge and its own spa, gym and cinema. 5 Chapel Street is an intimate 3-room B&B set in a pretty Georgian building. You'll find smart rooms, plenty of antiques dotted around and wonderful breakfasts served up each morning to set you up for the day. 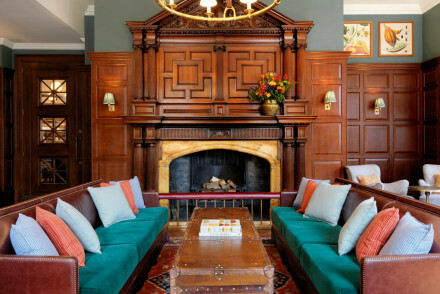 Hotel du Vin & Bistro offers quirky accommodation right in the heart of the city. Come back after a day out sightseeing to tuck into French-style bistro food before enjoying a nightcap at the bar. If you're looking for a stylish stay then The Tamburlaine will be right up your street. The rooms are spacious and light with marble bathrooms, whilst it also boasts a fine-dining restaurant. 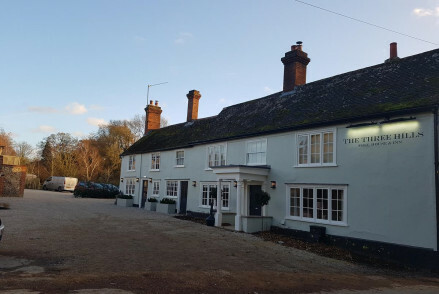 Located a few miles outside Cambridge, The White Hart is an utterly charming spot. The B&B offers comfortable rooms with plenty of wooden features as well as a great bar. 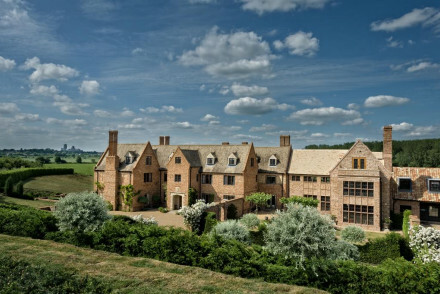 The Old Hall is a magnificent spot; this Jacobean manor house boasts country-chic accommodation set amongst lovely gardens. A brilliant retreat. Poets House in Ely is an attractive townhouse hotel in the heart of the city, right opposite the cathedral. The decor is pretty 'bling' and the owners have tried to anticipate every luxury - including a bath butler. 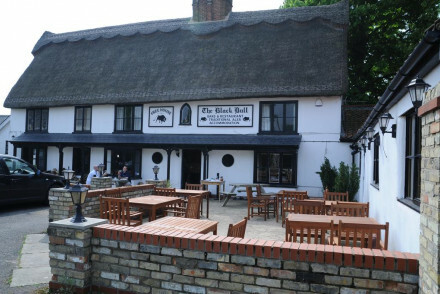 The Black Bull Inn, located in the small village of Balsham, offers four simple rooms in an award-winning gastropub. Ideal for a weekend retreat in the country. 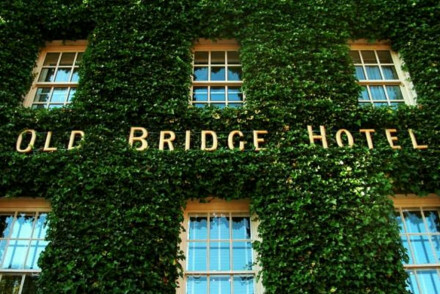 Set outside the market town of Huntingdon, The Old Bridge masterfully blends old with new - whilst also featuring a restaurant, garden and family suites. A decent all-round stay. 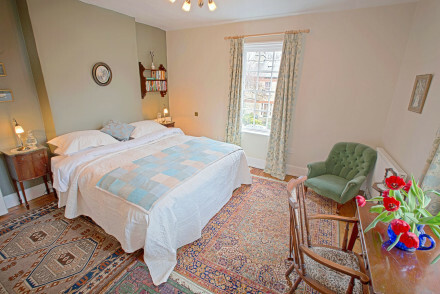 The Abbots Elm offers four fairly simple but comfortable rooms. However, your main reason for staying here is their award-winning restaurant which serves exquisite British cuisine. 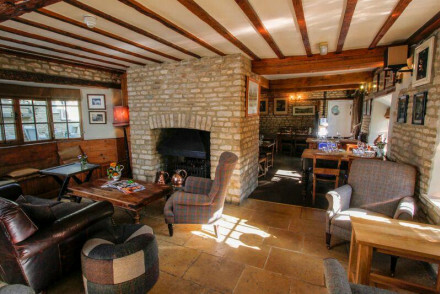 The White Hart is a 17th century inn with 12 unique rooms situated between Peterborough and Stamford. Enjoy their classic British cuisine from the restaurant and spend your days exploring the surrounding countryside. If you'd prefer the flexibility of a self-catering option the browse through the wide variety available online with our partner, Booking.com. The summer months offer the best weather for visiting Cambridgeshire, with the average temperature climbing to 18°C in July and August. However this is peak tourist season, so for a quieter and cheaper alternative consider coming in the shoulder-season months (May and October). If you're coming from abroad then fly into Luton Airport before taking the train to your final destination. If you'd like the autonomy of having a car then check out what's available with our partner, Rentalcars. Search through our pick of the best places to stay in neighbouring Northamptonshire or Suffolk. Nestled in the picturesque village of Fulbourn a few miles outside Cambridge, The White Hart is a charming B&B. Featuring comfortable, spacious rooms and an atmospheric restaurant. The hotel's bar is the great place to unwind in the evening. Great walks - Go for a walk in the nearby Wandlebury Country Park and Nature Reserve. Sights nearby - Four miles from Cambridge city centre and all of its sights. A charming 17th century inn with twelve uniquely designed rooms, some with a contemporary vibe, some more traditional, all with smart modern bathrooms. Classic British cuisine created with local produce, and a picturesque garden terrace for warmer days. Quaint and rustic; ideal for a country escape. 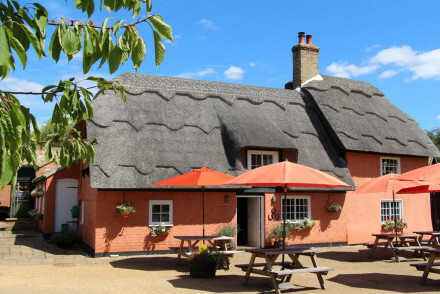 A charming peach-coloured country pub set in a pretty village in Cambridgeshire. Cosy rooms are simply designed with white washed walls and crisp white linen set against beamed ceilings and pops of softly patterned fabrics. The award winning restaurant is the real drawing point. Foodies - Exemplary British pub fare served in an atmospheric restaurant. Great walks - Take long walks through the picturesque countryside surrounding the village. Birdwatching - Spot numerous birds at Grafham Water reservoir. A quaint village pub with low ceilings, exposed beams and fireplaces, furnished in a homely style with sofas, armchairs and muted pastel tones. Cosy, pretty rooms feature charming floral fabrics. The pub serves locally sourced classic British food with a twist. A delightful rural stay. A delightful small B&B in a pretty Georgian house. Traditional rooms are beautifully styled with polished parquet floors, sash windows, crisp white linen and a choice selection of antique pieces. Home made breakfasts and tea are offered along with vintage bikes and a very warm welcome. Local exploring - A charming home with warm hosts who provide vintage bikes and endless nuggets of knowledge with which to explore the city. Sailing - Take a traditional punting trip down the River Cam. Exciting new addition to Ely's hotel scene. Townhouse hotel in the heart of the city opposite the cathedral close. Service is key with personal butler's to draw your bath, and a luxurious vibe throughout. Lively bar for evenings in. 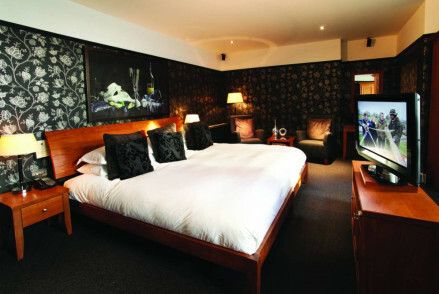 A chic hotel located on the outskirts of the pretty market town of Huntingdon and within spitting distance of Cambridge. Traditional and contemporary styles merge well throughout with bold prints, antique furniture and the best rooms have free-standing baths. The perfect spot to explore the region. Local exploring - Well placed on the outskirts of a pretty market town with good access to the rest of the county. Great walks - Take a stroll along the picturesque river that runs alongside the hotel. Sights nearby - Visit Houghton Mill an impressive working 18th century watermill. Historic Jacobean manor house turned luxury B&B with views over the magnificent Ely Cathedral. A range of rooms from grand four-posters to single classics, all sumptuously decorated and filled with antiques & handcrafted furniture, plus beautiful mature gardens and terrace. Local exploring - A great location to exlpore the historic city of Ely with its magnificent cathedral. Sights nearby - The magnificent Ely Cathedral is an absolute must-see. Newish, central, contemporary hotel with plenty of light, great roof terrace and cinema, chic design details and a useful spa and gym. A recent refurbishment has spruced up this city centre hotel. Contemporary design throughout, the rooms are spacious with clean lines, feature mirrors, sleek furnishings and indulgent bathrooms. The fine-dining restaurant is exemplary and there's an elegant bar too. 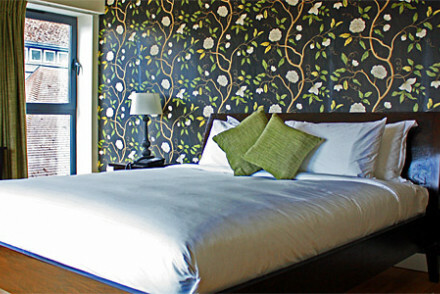 City Style - A chic boutique hotel located in the heart of the city. Sailing - Laze on a punt on the River Cam. A charming village pub in a pretty area of Cambridgeshire. Four simply dressed rooms feature parquet flooring, crisp white linen and contemporary light wooden furniture. 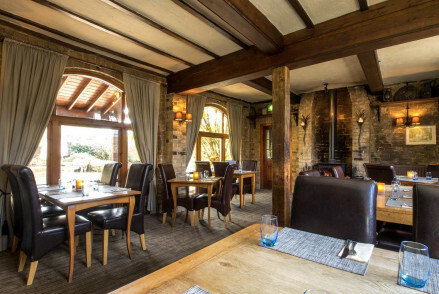 The award winning restaurant serves exemplary gastro pub food using seasonal produce. Country Escape - A quintessentially British pub in a pretty village. Ideal for weekends of walks, open fires, ale and hearty fare. Great walks - Find picturesque walking trails starting straight from the property. An 18th-century property turned chic hotel, set in the heart of the historic city. Elegant rooms and suites are quintessentially British; dressed in shades of Cambridge blue with fine wooden desks and plenty of books. A gourmet restaurant echoes the university college's dining halls. Superb! Beautifully renovated university building. Rooms boast a range of architecturally quirky features and a number of unique suites. Library, French-stle bistro and bar available, offering a comfortable and relaxing stay in Cambridge city centre. Sights nearby - Well located in Cambridge city centre for historic sights of Cambridge University. Cots available - All children under 2 years stay free of charge for children's cots/cribs. Wedding license - Possible to book entire hotel for weddings. A large and stylish contemporary hotel in the heart of the city. Sleek rooms are spacious and light, cleanly designed and boast wonderfully indulgent marble bathrooms. An elegant restaurant serves exemplary fine-dining dishes and has an excellent choice of wines. A smart city base. 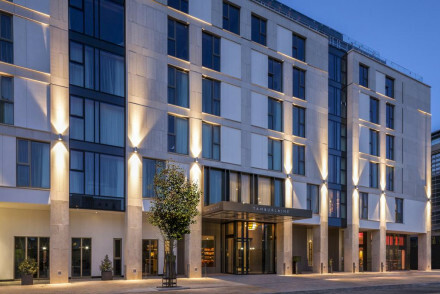 City Style - Created by the group O'Callaghan (known for stylish hotel's across Dublin) this venture into the UK market is no disappointment. Great walks - Take a stroll through the nearby and beautiful Cambridge University Botanic Garden. Sailing - Take a relaxing punt along the River Cam.